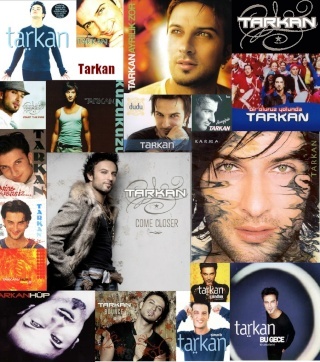 Okay, I was wondering ... which of Tarkan's music videos are your favourite? And, for that matter, which songs would you have liked to see visualized, but never were? i dont know why but kuzu kuzu!! Wow, i was gonna continue, but it would be forever!! I would love to see the video of more of his English songs.............Im Gonna Make You Feel Good (lol, if you get my point) j/k..................I would definitely like to see a video for TOUCH and COME CLOSER..........................plzzzzzzzzzzzz Tarkan, Im sure in the future if he re-releases his English album, my wish might be granted. My favourites are Bounce, Dudu, Kuzu Kuzu (Akustic Version), and the Turkish video for Simarik. I would've liked to have seen a video for In Your Eyes - I think they could've done something with his gorgeous green, green eyes. ;P And now that I think about it, I don't know why there wasn't a video for the song Come Closer. Istanbul Agliyor and Hop Hop are also songs I want to see videos for.